From the tear-jerking moments to the heartwarming ones, This Is Us has quickly captured the heart of millions. The show spans across multiple themes including trials, love, and, most importantly, family. Not to mention, the acting is just absolutely superb (raise your hand if you cry every time one of the Pearsons sheds a tear). So, yeah, let’s just say this TV show is amazing. But with only two seasons to binge-watch (and trust us, you’ll get through it quick), you need some backup shows on deck. 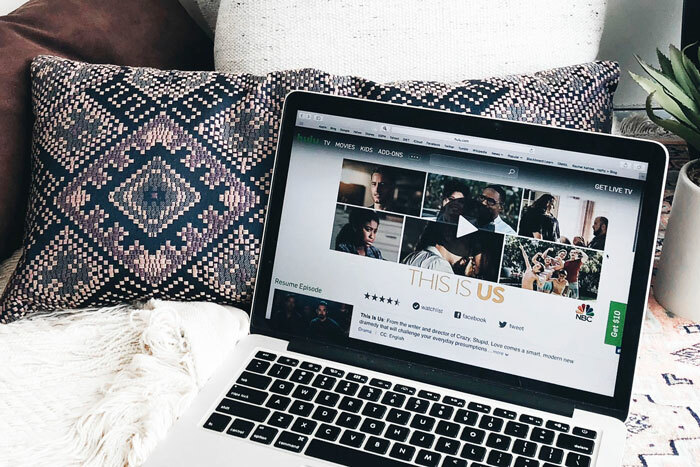 Here are five TV shows to watch if This Is Us strikes a chord with you. If you love Rebecca and Jack’s relationship in This Is Us, you’ll love Coach Taylor and Tammy’s relationship in Friday Night Lights. The powerful bond between the two sits at the emotional core of the show — see, it’s not just about football. They value each other and get through thick and thin, making them a pair you can’t help but love. While Black-ish is a sitcom, it doesn’t shy away from dealing with tough issues. This is especially true when it comes to discussing race. Like Randall in This Is Us, Dre Johnson is a successful black man who’s always working to protect his family’s ethnic identity within their overwhelmingly white upper middle class neighborhood. Black-ish is well-written, well-acted, and has plenty of fun, even when taking on tough conversations about race and family. If you love the Pearsons in This Is Us, you’ll love the Bravermans in Parenthood. The show primarily follows four adult siblings with families and careers of their own as they navigate some not-so-simple family dynamics. From raising an autistic child to career ups and downs, navigating the adoption process, and more, the Bravermans are a bit louder and messier, but still extremely lovable. Speechless aired just a day after This Is Us — and it’s just as good. Meet the Dimeo family as they move to a new neighborhood to get their son JJ (who has cerebral palsy) into an inclusive school. Speechless does a wonderful job of representing disability and challenging the stigmas and misconceptions surrounding people with disabilities. Featuring Milo Ventimiglia as a recurring character for multiple seasons (though a very different one from Jack Pearson), Gilmore Girls displays how a family can be both the greatest burden and the deepest joy of life. Though Lorelai Gilmore has a strained relationship with her parents, she’s able to find an impossibly close bond with her daughter Rory. While This Is Us has to do with working through the issues developed in childhood, Gilmore Girls has more of a “don’t stop running” approach to family drama.